JUGAADIN: How to Install Whatsapp on PC?? How to Install Whatsapp on PC?? 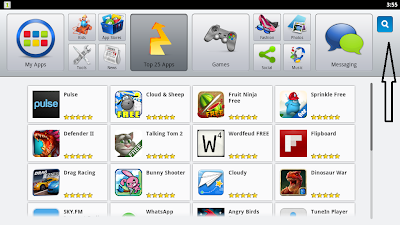 Step 1: Download Bluestack and choose the required Operating system which you want to use what app. Step 2: After download Bluestacks install it in your PC or Laptop by Double clicking on it. Step 3: After successful Installation open your Bluestack software and there you see already installed app. Step 4: Click on search Button on top right corner and type WhatsApp and you will be suggested with different places from where you can download WhatsApp. Step 5: After installing the app on your pc open it you have to choose country and check the code of your country is the right one and in the following field type phone number to start Whatsapp on your PC or Laptop. Step 7: A windows appears where it says that you need to verify your mobile number by sending sms to your number that you wrote. Step 8: In a few minutes you'll receive a three digit verification code that you've to write in the check case. 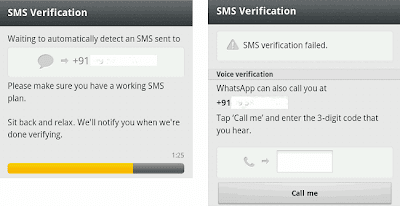 Step 9: If you haven't received the verification code, you can use call me option. You will get a call from WhatsApp with the verification code now you put type the code they gave you on the phone in the space provided. Step 10: Once your are done with all the above points, You are ready with WhatsApp on your PC or Laptop now, just sync your contacts and start sending them messages. Now use tablet with hands-free!! Websites & Apps for better health..!! 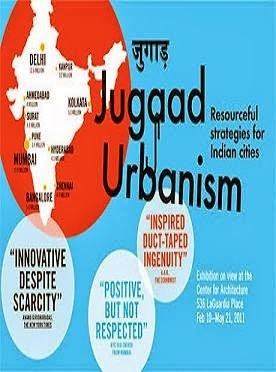 By JUGAADIN.COM . Awesome Inc. theme. Powered by Blogger.